Memory Code: The Memory Technique That Unlocks the Secrets of Stonehenge and Ancient Monuments the World Over. Without writing, indigenous elders memorised a vast amount of factual information on which survival depended both physically and culturally: knowledge of thousands of animals and plants, astronomical charts, vast navigation networks, genealogies, geography and geology … the list goes on and on. How did they remember so much? And why does this explain the purpose of ancient monuments including Stonehenge, Easter Island and the Nasca Lines? Can we use these memory methods in contemporary life? This lecture will focus on the transmission of scientific and practical knowledge among small-scale oral cultures across the world, drawing on Australian Aboriginal, Native American, African and Pacific cultures. Dr Kelly will explain the exact mechanisms used and why this explains the purpose of many enigmatic monuments around the world. We have a great deal to learn from the extraordinary mnemonic skills of indigenous cultures. Dr Lynne Kelly is a science writer and Honorary Research Associate at Latrobe University, Australia. Her most recent books are Knowledge and Power in Prehistoric Societies: orality, memory and the transmission of culture (Cambridge University Press) and The Memory Code (Atlantic Books). Lynne Kelly has discovered that a powerful memory technique used by the ancients can unlock the secrets of the Neolithic stone circles of Britain and Europe, the ancient Pueblo buildings in New Mexico and other prehistoric stone monuments across the world. We can still use the memory code today to train our own memories. In the past, the elders had encyclopaedic memories. They could name all the animals and plants across the landscape, and the stars in the sky too. Yet most of us struggle to memorise more than a short poem. Using traditional Aboriginal Australian songlines as the key, Lynne Kelly has identified the powerful memory technique used by indigenous people around the world. She has discovered that this ancient memory technique is the secret behind the great stone monuments like Stonehenge, which have for so long puzzled archaeologists. The stone circles across Britain and northern Europe, the elaborate stone houses of New Mexico, the huge animal shapes at Nasca in Peru, and the statues of Easter Island all serve as the most effective memory system ever invented by humans. They allowed people in non-literate cultures to memorise the vast amounts of practical information they needed to survive. In her fascinating book The Memory Code, Lynne Kelly shows us how we can use this ancient technique to train our memories today. As we rediscover the extraordinary endurance of the oral memories of people who do not depend on writing, and as we begin to rediscover that many of those memories include knowledge of distant times, Lynne Kelly has explored how vast, non-written memory systems can work. She explores the notion that memories were or are encoded in spaces that can be marked by natural or build elements and applies that exploration to some of the remarkable physical monuments of the last ten thousand years. She takes the reader on a fascinating journey into the past and around the world and into the minds of people who would not need to publish a book like this. They already knew it. An engaging and exciting read. 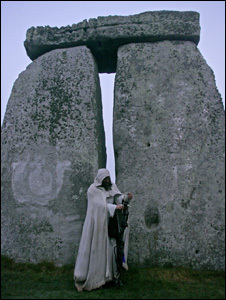 Dr Kelly has developed an intriguing and highly original account of the purpose of Stonehenge, Avebury and other stone monuments. The depth and breath of her research, and experimental experience she has brought to study, command respect and invite serious attention.